Develop an immediate plan to develop al-Sudan Street area in partnership with its current inhabitants, improving facilities and basic services and involving citizens in the urban development process, consistent with General Comment No. 4 of the CESCR. Pursue prosecution and accountability of the public servants in all spheres of government, as well as any private actors responsible for ordering or executing the Sudan Street eviction of 25 August 2015. 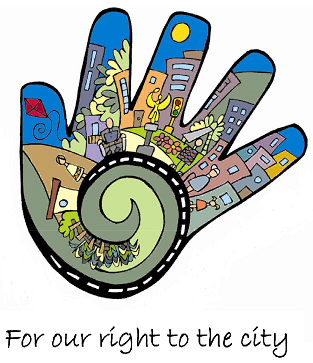 Ensure that the officials of both the central and regional spheres of government address residents’ concerns and provide the necessary information on all public and private development plans, operations and maintenance consistent with their human rights to information, participation and adequate housing. On Tuesday morning, 25 August 2015, a demolition force from the Giza Governorate combined with police forces and bulldozers demolished the poor shacks located at al-Sudan Street and carried out bloody attacks on the poor inhabitants who contested the demolition. The police used sticks, tear gas, and rubber pullets against the inhabitants, injuring tens of them. The events have been covered in the local press and recorded in photographic evidence (below). Most of the families did not receive alternative housing from the governorate. The governorate claimed that it had allocated 75 flats for the families; however, according to the local residents, the total number of affected families is 300. In addition, the 75 flats lack basic services, including water and electricity. Ironically, such procedures were arranged in cooperation between the Ministry of Interior Affairs and the newly established Ministry of Urban Renewal and Informal Settlements (MURIS). Activists in the field of housing rights, were looking to the establishment of MURIS as a positive step toward solving the problem of informal areas in Egypt through a human-rights approach. This was especially because MURIS is headed by Dr. Laila Iskander, who has served many years in the civil society sector. Egyptian Center for Housing Rights’ fact-finding mission visited the area and met the people. After collecting information, the Center prepared a petition to submit to the General Prosecution for investigation. A delegation of the inhabitants came to the Center’s office today and signed the petition, joined by the Center’s lawyers as they submitted the petition to the GP’s office. Furthermore, the Center issued a press release condemning forced eviction, using excessive force against the inhabitants, demanding the rehabilitation of the people and an open investigation of the use of force in this case. Various spheres of Egyptian government draw a negative image of the inhabitants who live in informal areas. In turn, mainstream society also adopts such perceptions, calling them thugs and drug dealers, and supporting efforts to get rid to them. In Egypt, 16 million of people live in informal areas due to skewed housing approaches of the consecutive governments. State plans and programs always have neglected the poor people and disproportionately concentrated on building luxury housing for rich people. These approaches typically offer no solution for the poorest and most inadequately housed Egyptians. Before the Egyptian Uprising on 25 January 2011, housing-rights activists have reached an understanding with the former regime on a several principles related to the right to adequate housing. Now, we are seeing a derogation of such principles, although “the right of citizens to adequate, safe and healthy housing” was enshrined in the Egyptian Constitution for the first time in 2013 and retained in the 2014 Constitution (Article 78). The current political circumstances are playing a very important role in housing rights derogation, as mainstream society seems willing to accept human rights violations under the pretext of fighting terrorism and achieving peace and stability. In this environment, anyone who speaks about human rights violations is considered to be a traitor. In addition, the government listens to nobody in formulating and executing its policies, and much worse, there is a step back even at the level of the judiciary system regarding human rights. The Center will continue its efforts at working with the people affected by housing rights violations through diverse local approaches. However, we, at Egyptian Center for Housing Rights are calling for your help by sending a protest letter to the relevant authorities, demanding their prompt reparation[i] of the inhabitants, including rehabilitation and investigating the truth about the use of excessive force against them, and ending the policy of forced eviction. After failing to report on its implementation of the treaty for eight years, Egypt finally came under review again in 2013. Then the Committee observed the Arab Republic of Egypt’s “inadequate investment…in affordable housing, resulting in a high percentage of the population living in informal settlements [without] adequate infrastructure or facilities.” CESCR also registered its concern about widespread forced evictions due to the lack of secure tenure, in beach of the state’s obligations under Article 11 of ICESCR. As previous Egyptian governments had established a pattern of forced evictions without ensuring reparations or alternative accommodation, the CESCR repeated reminded Egypt’s government representatives of their obligations under Article 11 of the Covenant, including with reference to the Committee’s General Comment No. 4 on the right to adequate housing, as well as General Comment No. 7 on forced evictions. The CESCR treaty body also has called upon Egypt to develop an appropriate housing policy. [i] “Basic Principles and Guidelines on the Right to a Remedy and Reparation for Victims of Gross Violations of International Human Rights Law and Serious Violations of International Humanitarian Law,” A/RES/60/147, 21 March 2006, at: http://www.hlrn.org/img/documents/A_RES_60_147%20remedy%20reparation%20en.pdf. [ii] CESCR, “Concluding Observations: Egypt,” E/C.12/1/Add.44, 12 May 2000, paras. 23, 31 32 and 37, at: http://tbinternet.ohchr.org/_layouts/treatybodyexternal/Download.aspx?symbolno=E%2FC.12%2F1%2FAdd.4&Lang=en. [iii] CESCR, “Concluding observations on the combined second, third and fourth periodic report of Egypt,” E/C.12/EGY/CO/2-4, 29 November 2013, para. 20, at: http://tbinternet.ohchr.org/_layouts/treatybodyexternal/Download.aspx?symbolno=E/C.12/EGY/CO/2-4&Lang=En. [vi] See also “Arab Declaration on Sustainable Development for Human Settlements” (Rabat Declaration) (1995), at: http://www.hlrn.org/img/documents/rabat%20declaration%20en.pdf. [vii] Rabat Declaration, op cit, para. 11.